My husband’s birthday is next week and I decided to make him an early birthday present–a pie. 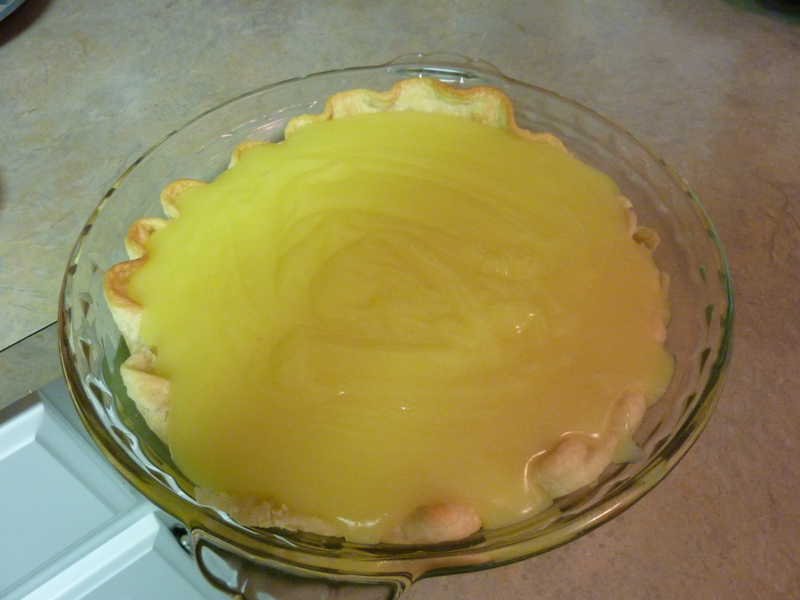 I had quite a few lemons and a Pillsbury frozen pie crust, so I looked through my cookbooks and found an old family recipe that I remember my grandmother making for me all the time. This lemon pie is tart, so if you don’t like to pucker up when eating a fruit dessert, then this isn’t the dessert for you. I grabbed my nice 9-inch pie plate and sprayed cooking spray inside the plate before rolling out my thawed-out pie dough. I thought, I don’t want this crust to stick to my nice glass pie plate! (Nevermind the fact that I’ve made pie crusts before and it alluded me that this is a no-no.) It looks so pretty in the glass plate and I even fluted it! I baked it as the instructions said, and this is how it turned out. I then mixed all the ingredients in a saucepan and let the mixture thicken to pudding-like consistency. I decided to put the filling in anyway, since I didn’t want it to go to waste. Some of the filling went over the edge, but since it was just for my husband and me, presentation didn’t matter. And with the meringue, you didn’t even notice. Two hours later, I had my pie, but, I couldn’t eat it yet because it had to cool. So sad…I had to wait until the next day to enjoy it. 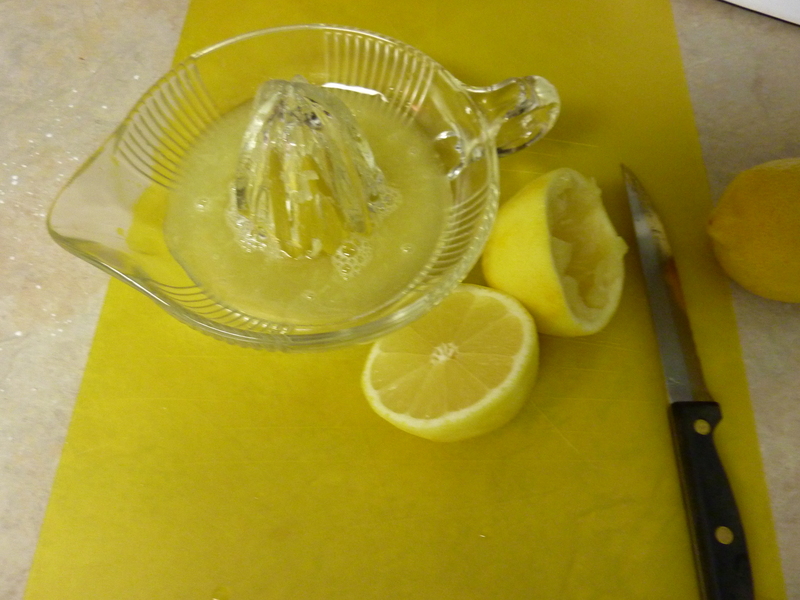 Mix together the first 4 ingredients in a medium-size saucepan; add water, lemon juice, and grated rind and cook over medium heat, stirring constantly. Cook until thick. Add beaten egg yolks to a little of the mixture (tempering the yolks, otherwise you’ll cook the eggs–scoop out some of the mixture and put it in a container with yolks), then add to entire mixture in the pan. Cook on low heat 2 minutes, stirring constantly. Remove from heat and add the 1 tablespoon butter. 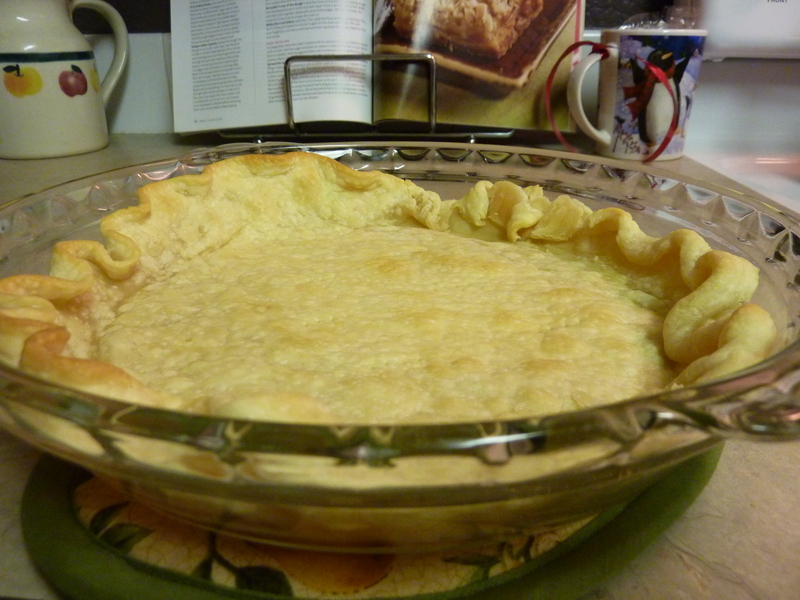 Once the butter is incorporated, pour into pie crust. Meringue: Beat the egg whites until frothy. Add cream of tartar and salt. 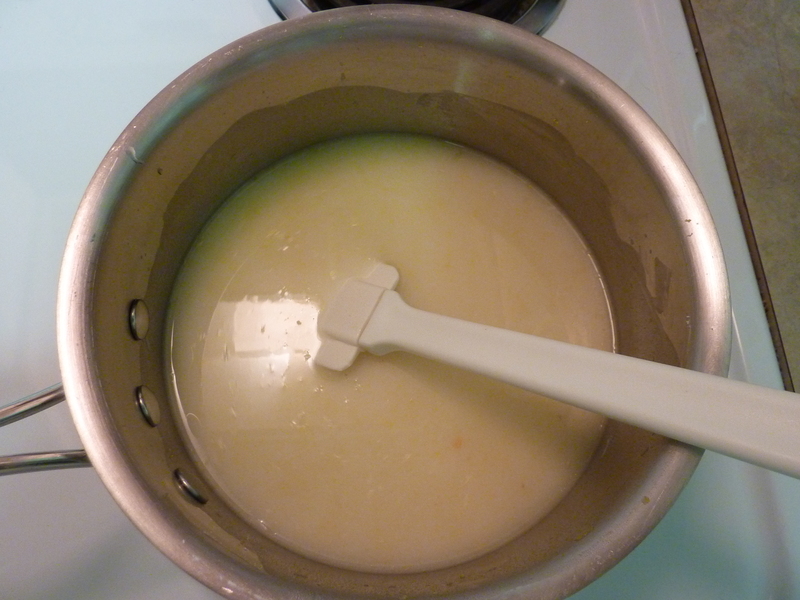 Beat whites until thick, adding sugar–2 tablespoons at a time–until stiff. Spread on pie. Bake at 350 degrees for 10-12 minutes until lightly browned. Cool completely before serving. 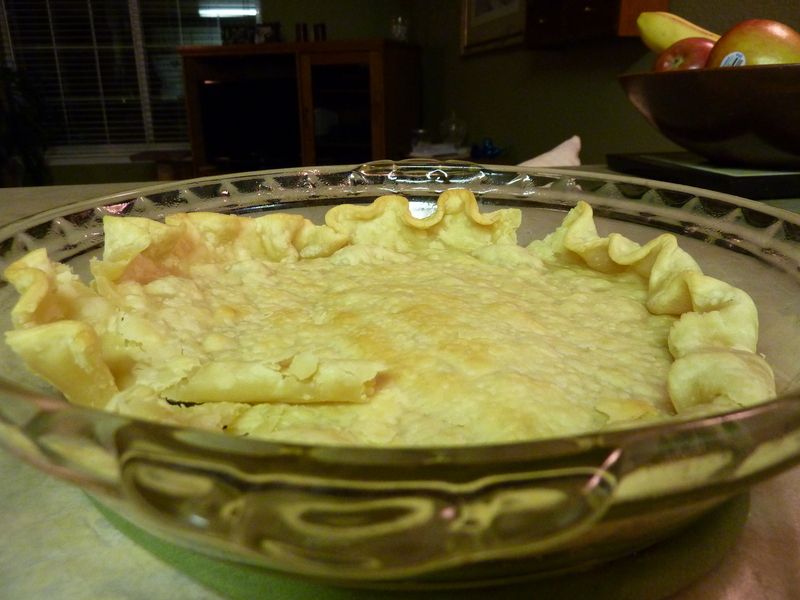 You might try crimping the pie crust to the pie dish before you bake. Alternatively, use enough pie weights to COMPLETELY fill the disk and hold the sides of the crust up. 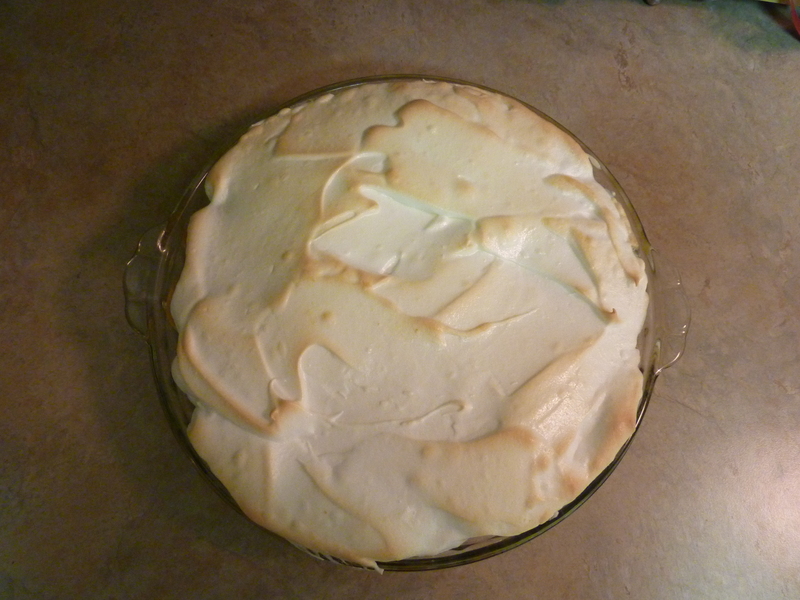 Lemon Meringue is quite a bit of work, but usually worth it! Yeah, it tasted great, so that was good at least! I will try your advice the next time I make it. Thanks!